BitTorrent Inc. is already trying to remake instant messaging and multi-device file syncing using peer-to-peer technology, and now the company has its sights set on an even larger target: the web itself. 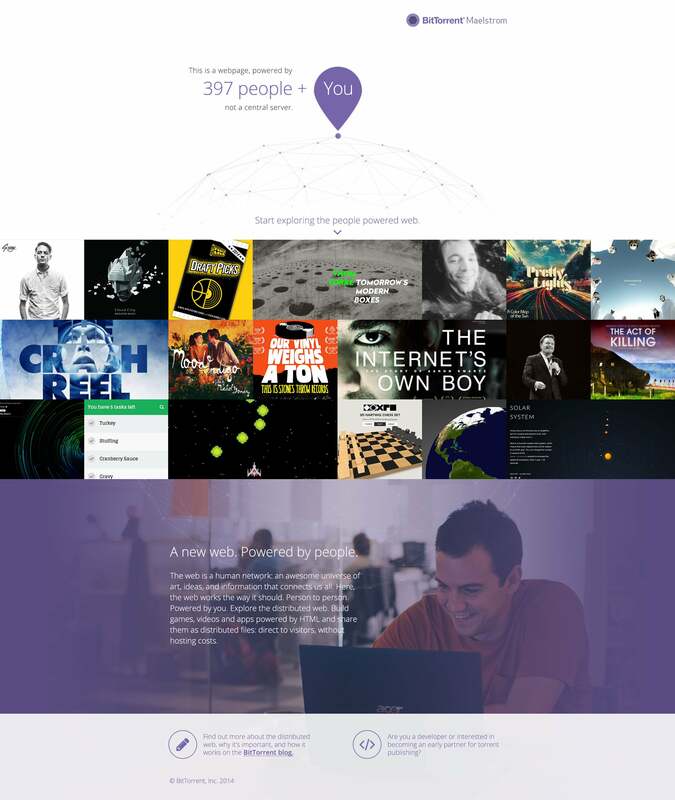 On Thursday, BitTorrent announced Project Maelstrom, a browser powered by torrent technology. If successful, Maelstrom would be a radical change to the way you access webpages—at least under the hood. Traditional web browsers work by fetching pages and other data from remote servers and then displaying it on your PC. Maelstrom would instead fetch data from fellow users who have the data you need sitting in their browser caches. The impact on you at home: We haven’t had a chance to get our hands on the Maelstrom browser yet. But as far as we can tell Maelstrom would not be all that different from what you use now. You’d enter a web address and the webpage would appear in your browser window. Since Maelstrom relies on torrent technology, however, it could potentially be much faster than standard web delivery. BitTorrent sees Maelstrom as the answer to many problems we have now with the current web. For example, a distributed network that relies on file sharing from all its users would arguably put less stress on server networks. Right now if a popular news story went online on The Washington Post’s website the Post’s servers would have to withstand a sudden influx of unusually high traffic. A peer-to-peer system, however, would take stress off of the paper’s servers by allowing those millions of people to share and deliver the data amongst themselves. What’s not clear, however, is exactly how Maelstrom would operate compared to the capabilities of the current server-client system we have now. Would websites have to specifically support Maelstrom? Or can the project distribute any data publicly available on the web via a peer-to-peer network? Would web applications handling money, such as storefronts like Amazon, work on Maelstrom? How would advertising—a central source of revenue for many websites—work on a Maelstrom network? We’ve asked the company for comment and will update this post should the company respond. 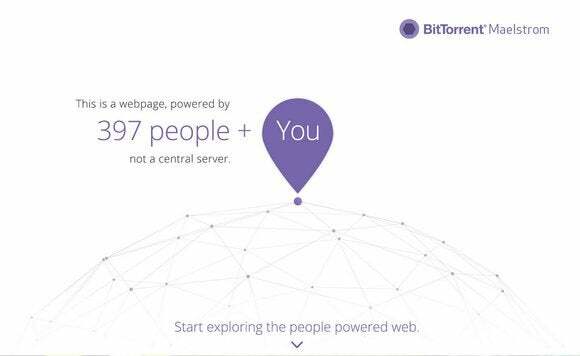 BitTorrent also says a P2P-powered web could help keep the Internet open and neutral going forward. Maelstrom sounds like an interesting concept and could be an innovative way to distribute web content—but color me skeptical for now. BitTorrent technology has been available for years and is a superior way to distribute files. Due to the BitTorrent protocol’s association with piracy, however, we’ve only seen mainstream flirtations with the technology. There’s no reason to think Maelstrom will be any different at firsth blush. That said, Maelstrom may turn out to be a great alternative version of the web populated by technology enthusiasts. If you’d like to try out Maelstrom you can sign-up for the invite-only alpha version on BitTorrent’s website.